While many companies which operate under anti-bribery laws such as the UK Bribery Act or anti-corruption laws such as the US Foreign Corrupt Practices Act (FCPA), have compliance programs in place to review business relationships, I have found that one of the areas which most non-banking companies do not sufficiently focus on is anti-money laundering (AML). 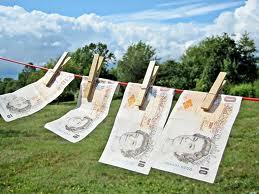 Money laundering is conduct designed to disguise the proceeds of criminal activity. These include making illegal or improper payments to Foreign Government Officials, the misappropriation, theft or embezzlement of public funds by any party as well as by or for the benefit of Government Officials, paying kickbacks to employees of private companies, creating a scheme to defraud third parties and, in the United States, misusing the mails (whether it is the US mail, private or commercial couriers) and the wires in interstate or international commerce. Money laundering can arise when there is an effort to evade reporting requirements by engaging in a series of funds transfers that individually are below the amount requiring disclosure. Funds may also be laundered by transfers among bank accounts or through the purchase of apparently legitimate assets. Even though they have been “laundered,” these funds still represent the proceeds of criminal activity, and knowingly receiving, transferring, transporting, retaining, using, or hiding such criminal proceeds is illegal. Legitimate businesses may be targets for persons or entities who want to make the proceeds of criminal activity appear to be legitimate. For example, companies that offer to do business with a company may be “fronts” for money laundering or other criminal activity. Similarly, agents, customers or other parties may seek to have a company wire their fees to jurisdictions other than the ones in which they reside to avoid the laws and requirements of their home country. It is, therefore, essential for a company to “know” the parties with whom it conducts business and perform the due diligence required by the company Code with respect to all potential Business Partners, Representatives, Agents, Distributors and others in the sales chain. A company should also take care with its business relationships in the supply chain such as vendors that are viewed as high risk under the FCPA or UK Bribery Act. There have been some interdictions in this system, however. In 2010, US authorities arrested several executives of Angel Toy company, who the government alleged were conspiring with Mexican drug cartels to launder drug money through a scheme to purchase Teddy Bears (of all things), for shipment back to and for resale in Mexico. The plan was straightforward, just under $10K of cash for each shipment of Teddy Bears, which were then resold in Mexico. In an article in the Wall Street Journal (WSJ), entitled “Sands Probed in Money Moves”, reporters Kate O’Keefe, Justin Scheck, Alexandra Berzon and James Grimaldi, reported that US authorities are investigating Las Vegas Sands Corp. and several of its executives regarding allegations of violations of US money-laundering laws by failing to alert authorities to millions of dollars transferred to its casinos by two Las Vegas high rollers. The specific allegations involve an examination of the Sand’s “handling of money received several years ago from a Chinese-born Mexican national, Zhenli Ye Gon, later accused of drug trafficking and Ausaf Umar Siddiqui a former California executive subsequently convicted of taking illegal kickbacks. Regarding Mr. Ye Gon, the WSJ reported that in 2006, Ye Gon “made tens of millions of dollars in transfers to Sands accounts from Mexican “casas de cambio,” which are currency-exchange firms that have been the focus of several recent money-laundering probes in the U.S., several people involved in the case said he transferred a total of around $85 million to casinos owned by Sands and other operators, court filings indicate. Prosecutors have told lawyers representing Sands employees that Mr. Ye Gon’s use of Mexican exchange houses to handle such huge transfers was a red flag.” Regarding Mr. Siddiqui, the WSJ reported that Sands received more than $100 million from Mr. Siddiqui, while he had an annual salary of $200,000 with Fry Electronics. Transactional based due diligence and internal controls are mandatory components of a FCPA minimum best practices compliance program. In addition to due diligence on agents, distributors or others in the sales distribution chain, companies need to perform due diligence on those to whom they sell. If someone from Mexico suddenly comes to your business and wants to buy widgets with cash, this needs to send up a huge Red Flag. It would seem just as unlikely if a customer with a relatively low net worth would come to you and seek to purchase a high cost product with cash. If such an eventuality happened this should also raise a very large Red Flag. 20. The independent due diligence conducted by a company uncovers allegations that raise concerns regarding the party’s integrity. In this age of cross-border criminal activity and cross-border enforcement, companies should be aware of these techniques used to launder money. Company compliance programs need to incorporate transactional due diligence into an overall anti-corruption compliance program. You may not see multi-millions of dollars in cash come into your company as Sands did from Mr. Ye Gon and Mr. Siddiqui but you should run the basic checks as suggested by the list of Red Flags.